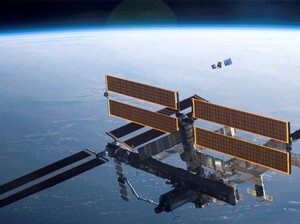 Watch the animated space station move up and down in the stratosphere in this high-tech wallpaper. You control the clouds as well as the shuttlecraft and satellites that fly through the sky. Is this a busy day in take-offs and landings from the home station? You are the flight commander.